Check out some of our most popular teachers near Roswell, GA including Atlanta, Marietta, Decatur, Alpharetta and Duluth. My lessons are both fun and educational, with flexibility to honor each student's needs and goals. During my time as a drummer, I have had the pleasure of studying music with Dr. Richard Ripani, Eddie Bell, and renowned big band drummer Duffy Jackson in Nashville, TN. I graduated in May 2017 with a degree in Studio Music/Jazz Performance at UT Knoxville, studying with Professor Keith Brown. I want to pass on all the knowledge I gained from them to you! See you soon! Experienced teacher and musician, great with beginners and intermediate students and happy to teach all levels! I've been playing the drums for almost 20 years, and have been playing professionally for much of the last 10 years. I always aim to keep a healthy focus on both the technical element of learning the drums, and the all-important musical element of playing with other musicians in a group. I generally spend about half the lesson focusing on technique, and the other half on songs picked by the student for us to work on. Please feel free to send me a message if you'd like to start taking lessons! Hello! I'm a drummer with nearly two decades of experience playing in a wide variety of bands, from straight ahead rock, to jazz, to minimalist singer-songwriter music, to swampy New Orleans-style funk, and everything in between. Since graduating college in 2011, I've been a working musician, and I combine the technical foundation of years spent studying the instrument with the musicality of a seasoned drummer. ents to bring songs they love to lessons for us to focus on, and for beginners, to start playing with other people as soon as possible. This keeps lessons dynamic and engaging—playing drums should be fun! For intermediate and advanced students, I bring my experience as a working studio and live drummer to lessons. We focus on musicianship in the context of a band, listening, timbre, groove, timekeeping, confidence, and the intangibles of what it takes to be an effective band member (and an employable drummer!). In addition to countless hours spent in middle and high school banging away on the drums in my parents' basement, I studied jazz in college, and since then have taken lessons with Scott Amendola to supplement my experience playing. Please feel free to send me a message if you'd like to start lessons! I'm available to teach in students' homes in Los Angeles, or teach lessons online. Peter is a skilled and talented drummer with the pedagogy to go with it. He is on time, communicative, and able to connect with students easily. His combination of commitment to technique as well as ability to stoke a young drummer's intrinsic motivation make him a wonderful instructor. I have been teaching beginners on drums for the past year now and have developed a proper curriculum for you to follow. I want to get you on your way to drum to your favorite songs! Drums can be challenging and require a lot of patience, time, and dedication. I'll be very patient with you and guide you step by step, no matter how long it may take you to learn. I have a never give up attitude and hope the same from you! You will learn how to use proper techniques, play by ear, and eventually rock out to your favorite songs! Shoot me a message if you would like to get started! I have been playing drums for about 14 years now and recently got into teaching kids and adults. I have been regularly playing at a church for the past 2 years now and absolutely love it! I am self taught, so no one taught me how to play, but I absolutely love playing drums. There's a certain rush that comes with it every time I play. Learning to play drums by yourself can be a little challenging, because there is no one correcting you, but when you have loved music your entire life, like myself, it just comes naturally. t going, it'll be a party! I'm the type who celebrates the littlest of victories, because even little by little, you can get there! Can't wait to teach you guys! Just know I'm very passionate at what I do, I'm a very patient person, and I will never give up on you, as long as you don't give up on yourself! Can't find a teacher in Roswell, GA? "Casey is a great teacher! I've really enjoyed my lessons with him! He makes learning drums tons of fun!!" songs on my Ipod. Great teacher!!!" times and he always makes it fun for her. Very talented drummer and instructor, highly recommend!!" 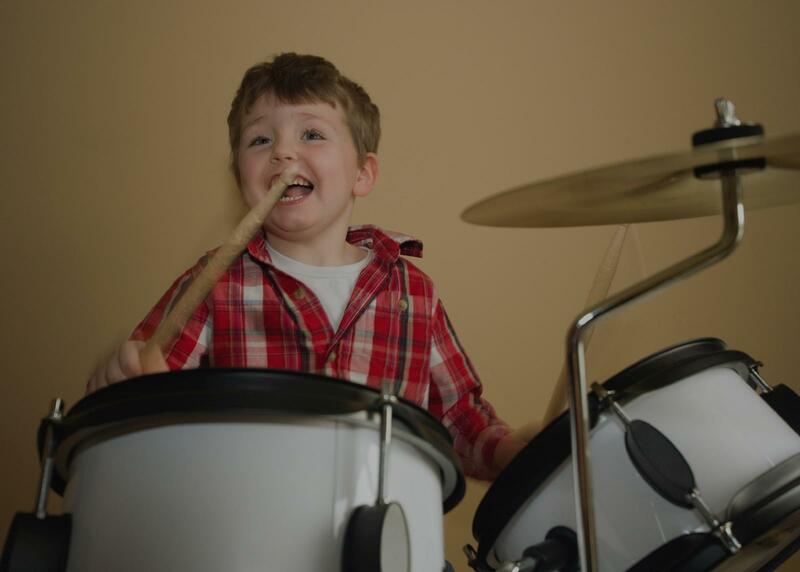 "Best drumming instructor ever: funny, patient, knowledgeable, and great with kids! My 9-year-old looks forward to his lessons every week." s for his first lesson. After meeting with his teacher, Mr. Allen, he became very comfortable and was eager to attend class each week and was ready to learn. He loves learning to play the drum and he loves his teacher. Thanks Mr. Allen for being the patient and kind instructor that you are." e is a great person with a fantastic work ethic and teaching methods. He’s truly the best in the biz! Thanks Joey! I now know how to drum and I love it." Atlanta, GA teacher: Joey T.
nce from legs and arms in drumming is a real help to keep me sharp in the mind.If I do not understand a assignment Casey will video himself,so I can look back and see and hear the assignment. I would highly recommend Casey."